As a Professional Organizer and one who helps individuals and families de-clutter and organize, I wanted to be creative in writing about some gift giving ideas that do not encourage adding more clutter to one’s home. We are such a society that has so much “stuff” and we have a generation of children that have been “indulged.” But I have to say that Christmas is my favorite Holiday and one of the reasons is I LOVE to give gifts to those I love and care about. So how do I come to terms with this dichotomy offering gift giving ideas that don’t create clutter? Well with some research and some creative thinking, I’m going to offer you some ideas to get your creative juices flowing for those on your Christmas list … and it won’t create clutter. Classes – Are your children gifted or talented in specific areas such as music, dancing, art, or riding? Give them lessons to their area of interest. Coupons – Give your children coupons for special times with you such as game night, dinner with mom or dad, movie night, helping with their chores, etc. 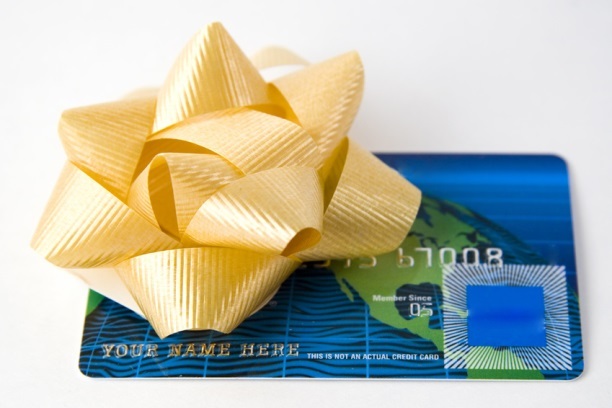 Restaurant Gift Card – Does your child have a favorite restaurant? Treat them with a gift card for either time with you or their best friends. Subscriptions – Kids love getting things in the mail addressed to them. Subscribe to their favorite magazine or something of interest to them. Crafting Date – Do your children love to craft? Give them a gift card to their favorite craft store to choose a craft of their choice and a scheduled time with you to craft with them. Events – Give them Movie tickets or tickets to a play, sporting event or concert. Memberships – There can be great activities at the YMCA or Children’s Museum, the Zoo or the local Science Museum. Purchase a membership for the year and schedule their fun programs. Activities – How about an afternoon ice skating or a Friday evening at the Bowling Alley? Or some fun time at the Mini Golf in the spring. It would give them something to look forward to. Day Trips – New England and specifically CT are full of wonderful day trips. Just go to http://www.ctvisit.com/ and check out all the wonderful events, activities and day trips that are available. Send Flowers – Who doesn’t love flowers? If you have the budget, think about sending a bouquet of flowers each month. Having the doorbell ring and open the door to someone standing there with a box of fresh cut flowers or a vase of beautifully arranged flowers is wonderful. Gourmet Basket of Food or Fruit – Putting together a specially designed basket on your own or purchasing a pre-made basket of fruit or food is a wonderful gift. Check out your finer grocery stores like Whole Foods or Highland Market. They will have “design your own baskets” or already “pre-made” ones to go. Wines – A bottle of fine wine … need to say no more! Help – Give your loved one a break from housework or yard work. This is especially nice for the new mom. Juggling all that needs to be done is trying. Having someone come and clean the house is a blessing. It makes a nice gift. Auto Detailed – For that man who you don’t know what to buy … get their car detailed. It’s even a lovely gift for the women in your life. Be a Chauffeur – Volunteering to drive your loved one around for the day to attend to Dr. Appointment’s or running errands is so helpful. They will appreciate not having to drive and will enjoy your company. Cook Meals – Come and make your loved ones their favorite meal each month. Old people are tired of cooking and probably purchase a lot of premade meals. A homemade meal is truly loved and appreciated … and healthier. Dinner and a Movie – Need not say more! Classes – Are there special classes your loved ones have wanted to take but haven’t had the funds. Well pay for a number of classes for them such as cooking, knitting, photography, etc. Family Photos – Gather family photos and create a memory book or slide show. Don’t feel you can do this yourself, then high a Personal Photo Organizer. Create a Legacy – Spend time with your loved one and gather their life stories. Either you create or have created a Legacy Album of what this family member would like to leave behind. Favorite Charity – Does your family member have a favorite charity? Consider making a donation on their behalf as their gift this year. This is especially nice for the individual who has it all. Well I hope these ideas have gotten your juices flowing and have propelled you into some creative gift giving. May your Hanukkah and Christmas Season be full of love, family, blessings and some gifts!